kids or no kids, check this show out. it features all sorts of cool bands like the shins, shiny toy guns [billed as "the shinys"], the aquabats, and lesley & the lys. it's totally amazing. oh, and biz markie has a recurring spot called "biz's beat of the day", where he teaches kids to beatbox. yeah. 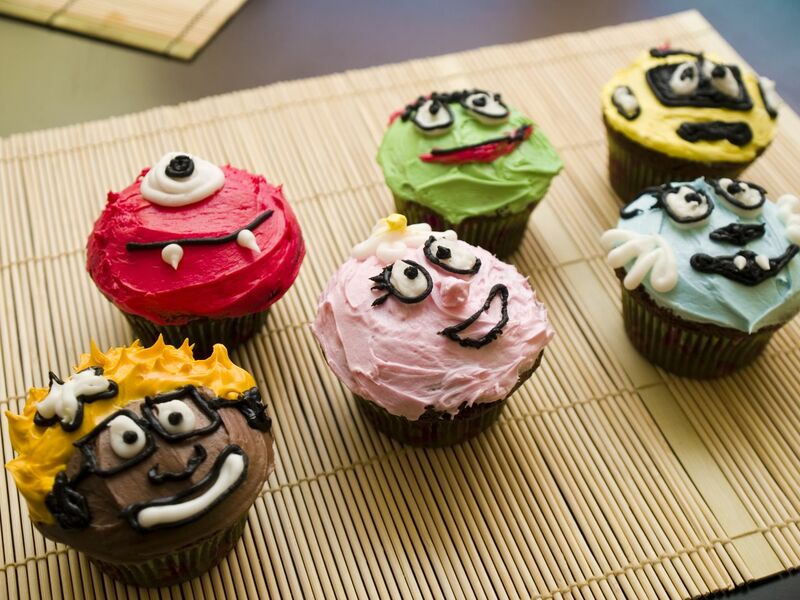 well, i have 3 kids and haven't heard of this show either - but the cupcakes sure are cute! My daughter is 15 months old and every once in a while we catch this show. It's funny because the people who created it must have been on some sort of drugs. Like miss lady said, they have some great bands, it's just a little scary to watch. Plus the man that draws pictures (mark or art or something) is pretty stange. Either way the cupcakes look perfect. I'm 15 and I am proud to admit that I have watched this show before. Yes, it is slightly creepy and moderately odd, but it's so addictive! I read an article awhile back that essentially said it was the future of children's programming. It's definitely worth watching.